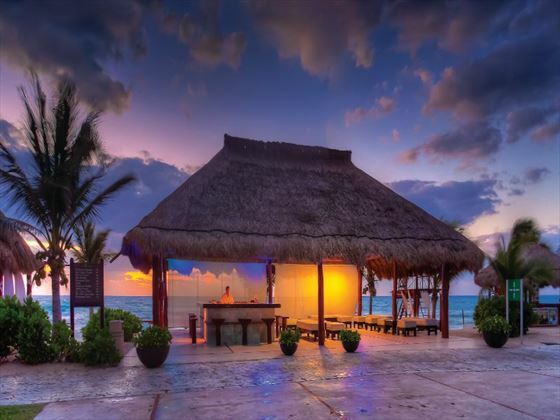 An indulgent property located on the white sand coasts of the Riviera Maya, El Dorado Casitas Royale perfectly encapsulates romance, elegance and luxury. 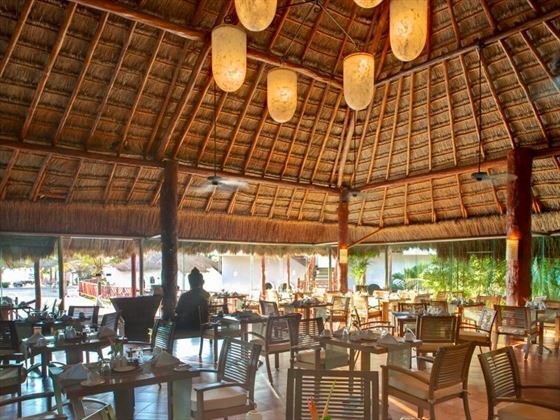 The breath-taking location, sophisticated suites and intimate restaurants combine to create somewhere truly special for couples’ holidays or memorable honeymoons. 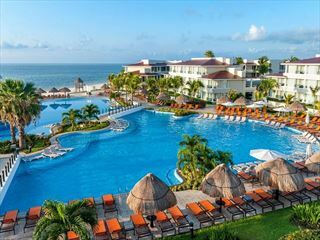 The resort features 205 suites, available in nine categories. 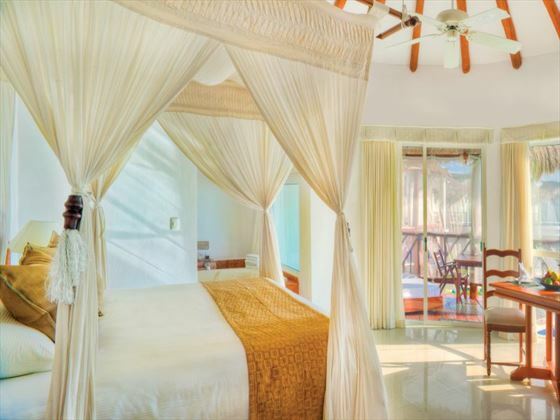 Casita Suite – These suites are grouped into two-storeys with a private pool, swim-up bar and beach loungers. 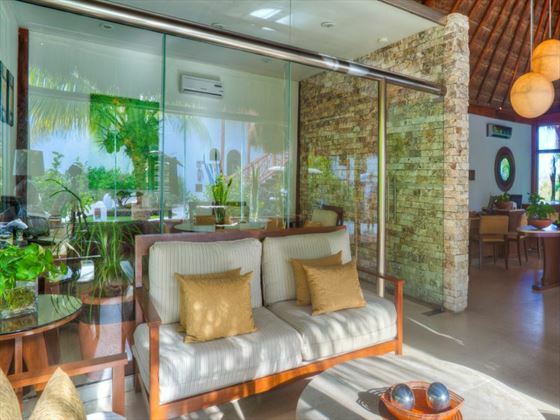 Individual Casita Suite – Standalone buildings with direct views of the Caribbean Sea. Swim-Up Casita Suite – Feature a water-mirror balcony, where you can step directly into a unique lazy river connected to the main pool and swim-up bar. 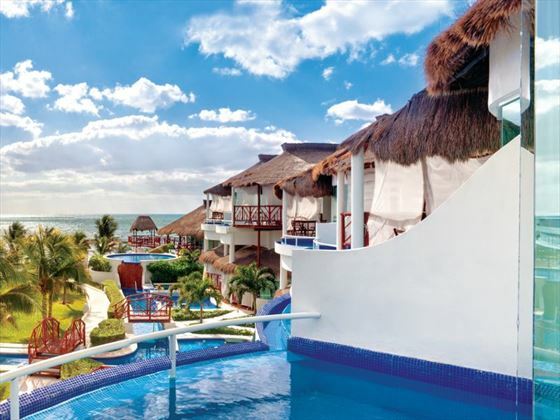 Individual Swim-Up Casita Suite – Individual Casita Suite with the same features as the Swim-Up Casita Suite. Infinity Pool Casita Suite – Private and secluded, with views of the sea from the second level and a private infinity pool. 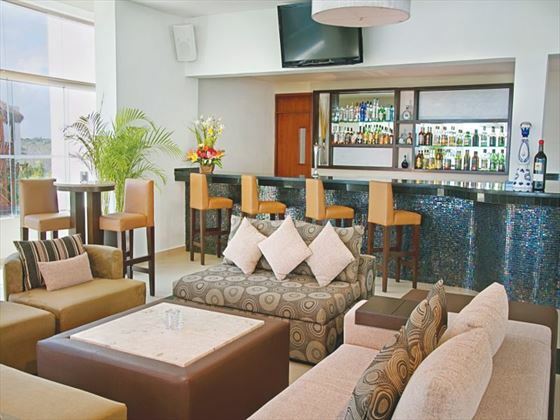 Guests staying in this suite can also enjoy a selection of light snacks from the Gourmet Inclusive menu. 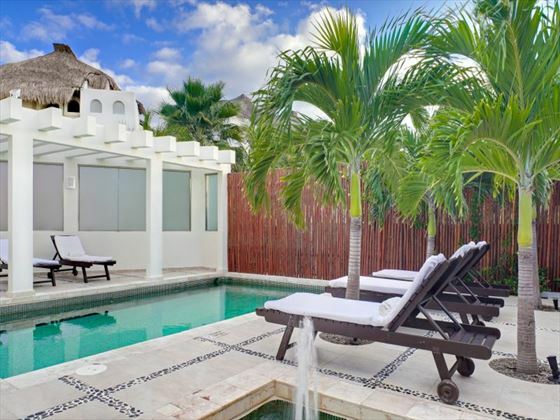 Swim-Up Infinity Pool Casita Suite – Feature a private plunge pool leading to the lazy river, with great views and luxurious amenities. 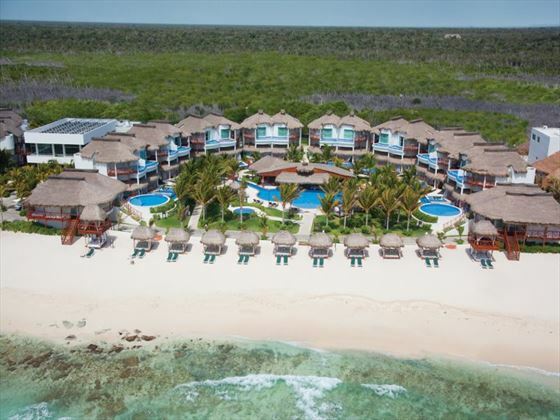 Studio Presidential Infinity Pool Casita Suite – An upgraded version of the Infinity Pool Casita Suite, with a connoisseur cabinet with selected spirits, welcome amenities of fruit basket and champagne, butler and concierge service available and an updated movie selection. 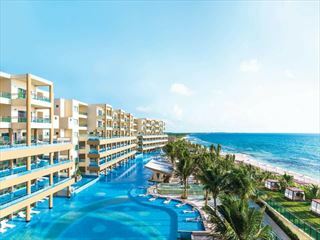 Studio Presidential Swim-Up Infinity Pool Casita Suite – An upgraded version of the Swim-Up Infinity Pool Casita Suite, with an upgraded minibar, welcome amenities of a fruit basket and champagne, butler and concierge service, and an updated movie selection. 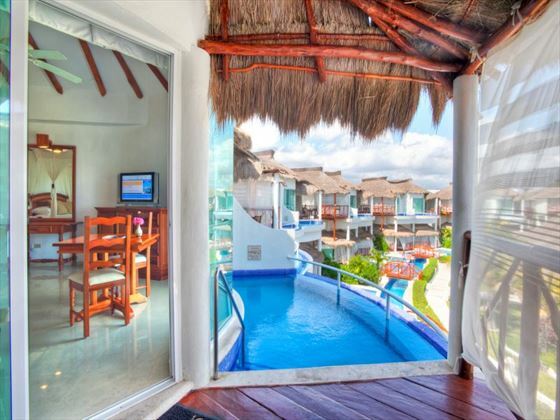 Presidential One-Bedroom Casita – Romantic and incredibly spacious, this suite features all of the above mentioned facilities in addition to an oceanfront terrace, private swimming pool, private beach palapa, living room, premium drinks and dinner prepared once during your stay by a culinary chef. All suites sleep a maximum of two guests.